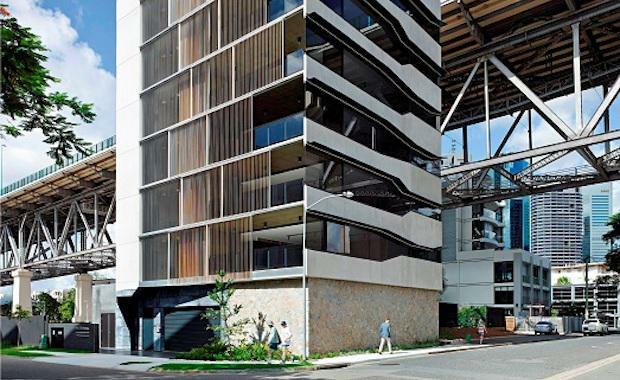 Bureau Proberts is in the running for a major international award for its design of SILT apartments, situated beneath Brisbane’s iconic Story Bridge in Kangaroo Point. World Architecture Festival (WAF) Awards to be announced in Singapore this October. SILT is a departure from typical multi-residential structures, with linear black tinted windows and a precast concrete facade.